Great rug! Looks just as pictured. I have this in my entryway, so far no stains. I think it should hide any stains too with the coloring. Make sure you buy a non-slip pad for underneath. 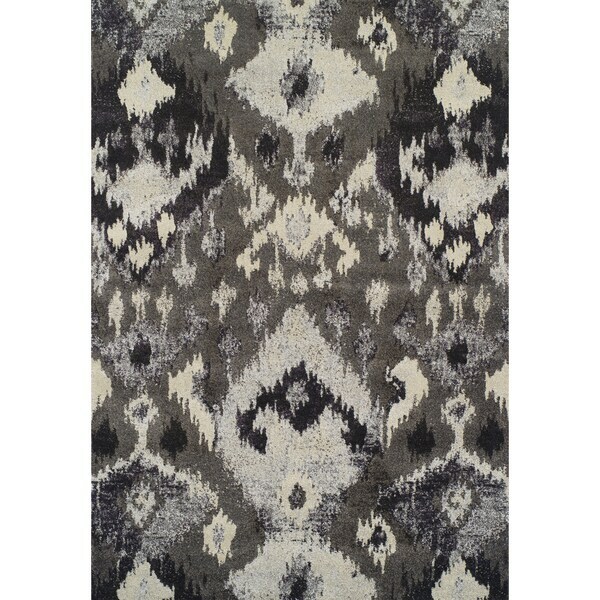 Cover your floor with the grey and silver ikat pattern and Bohemian style of this Addison area rug. This soft area rug is machine-made with polypropylene for stain resistance and easy care. Rizzy Home Panache Grey Central Medallion Distressed Area Rug (3'3 x 5'3) - 3'3" x 5'3"